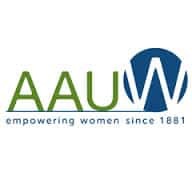 AAUW International Fellowship are awarded for full-time study or research in the United States to women who are not U.S. citizens or permanent residents. Both graduate and postgraduate studies at accredited U.S. institutions are supported. At the time of applying for the fellowship, female candidates must have applied to their proposed institutions of study. A limited number of awards are available to GWI members for study or research in any country other than their own. Applicants must be conducting a full year of study or research. International Fellowships do not provide funding for a partial year of study or research. Till date International Fellowships have been awarded to more than 3,300 women from more than 130 nations. Master’s/first professional degree fellowships are intended for master’s or professional degree-level programs such as J.D., M.F.A., L.L.M., M.Arch., or medical degrees such as M.D., D.D.S., etc. Doctoral fellowships are intended for doctorate degrees, such as Ph.D. or Ed.D. Candidates have to apply Online at the official website. Candidates have to provide three recommenders who are professors or professional colleagues. Fellowships are awarded on a competitive basis according to funds available in a given fiscal year. It is the nation’s leading voice promoting equity and education for women and girls.